Four, 7.5 minute quadrangle topographic maps (Mt Lyell, Koip Peak, Mt Ritter, and Vogelsang Peak, CA) were cut up and reassembled to appear as if they are one standard 7.5 minute map. 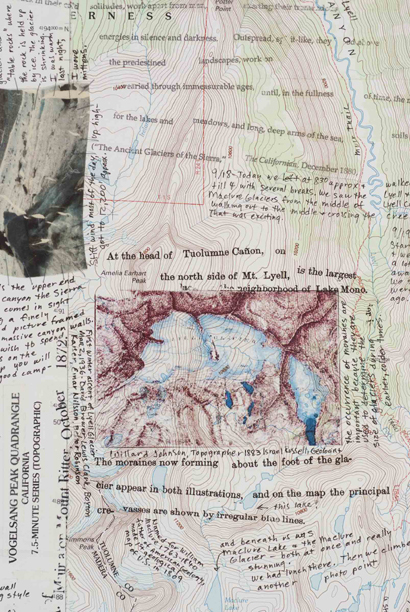 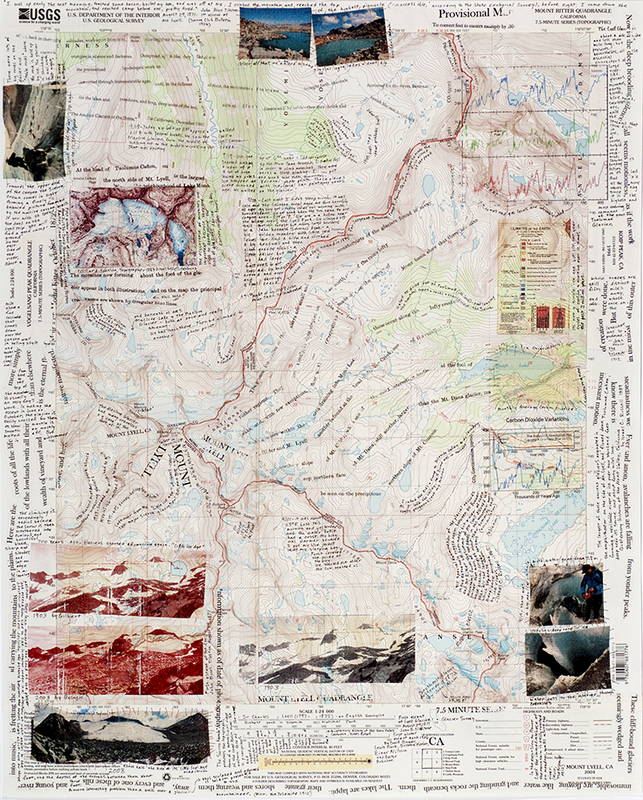 The 4 maps surround the Lyell Glacier, the largest glacier in Yosemite National Park. 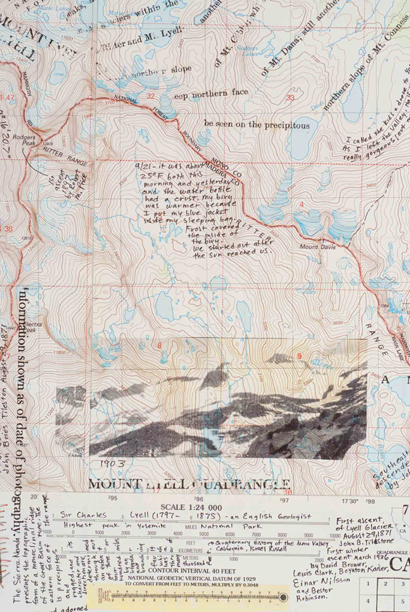 In September 2008, I backpacked with the annual Lyell Glacier Survey.